to their local Food Lion store and receive double their money back. than 100 artificial ingredients at affordable prices. the finest “real” ingredients at affordable prices. Home 360 Baby items and more. juice cocktail, chips, and laundry/cleaning products. commitment to affordability, freshness and the communities it serves. million meals to individuals and families in need by the end of 2020. Zaandam-based Royal Ahold Delhaize Group. 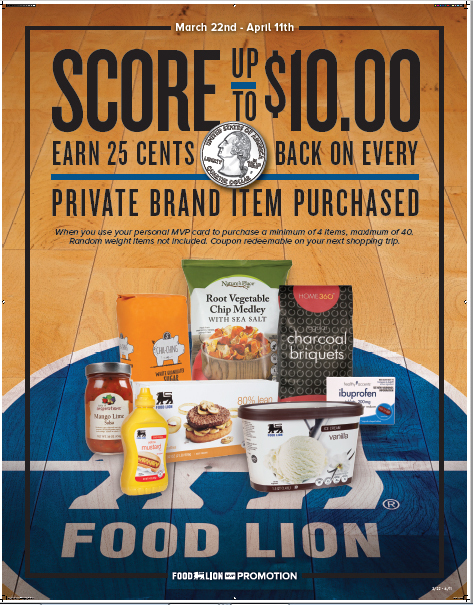 For more information, visit www.foodlion.com.